Schedule A | TaxConnections is a where to find leading tax experts and tax resources worldwide. Certain types of interest you pay are deductible as an itemized deduction. The types of interest you can deduct on Schedule A are home mortgage interest, points in some cases, and investment interest. • State and local income taxes. • Real estate taxes (deductible in the year you paid them). • Personal property taxes charged on the value of personal property. • Foreign income taxes paid. 5 Biggest, Best Homeowner Tax Breaks – Get Them While They Are Still Here! Leaving off deductions you’re eligible for, such as mortgage interest and property taxes, is leaving money on the table and with tax reform revving up again on Capitol Hill, with the heads of key committees pledging to work toward a simpler and fairer tax code, Congress may be looking to tradeoff these tax breaks with lower tax rates. Sounds intriguing? The IRS reminded people with home-based businesses that this year for the first time they can choose a new simplified option for claiming the deduction for business use of a home. In tax year 2011, the most recent year for which figures are available, some 3.3 million taxpayers claimed deductions for business use of a home (commonly referred to as the home office deduction) totaling nearly $10 billion. 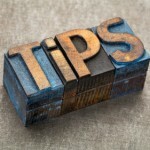 If you use your home for business, there are expenses you can deduct on your tax return. 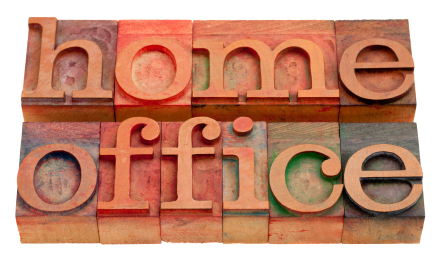 The home office deduction is available to both home owners & renters alike. 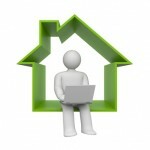 The home must be used by a self-employed individual or an employee who works from home for his employer’s convenience. This deduction has been available for a few years now, however with the tax year beginning January 1st, 2013 (filing starting January 1st, 2014), the Internal Revenue Service issued Rev Proc. 2013-13. This revenue procedure details an optional safe harbor available to individual tax payers for calculating a home office deduction. 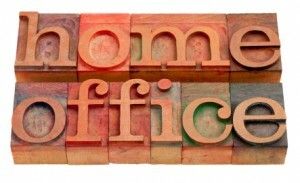 The individual can claim the Home Office Deduction based on either the Simplified Method or the Regular Method (Details Follow). • A standard deduction of $5 per sq foot for a home used for business up to a maximum of 300 sq feet. • No home office depreciation deduction is allowed nor is a later recapture for the years the simplified option was used. In Ambrose, (18) the taxpayers suffered a loss due to a fire in their home. The damage was repaired by their insurance company, but the following month their home was destroyed by another fire. Insurance claims were filed, but a dispute arose over whether the damage was covered. The taxpayers amended their return to claim a casualty loss deduction, and the IRS denied the loss for failure to file an insurance claim under Sec. 165(h). Although the homeowners had filed a claim within four hours of the fire, they did not timely submit proof of loss to the insurance company. The court held that the taxpayers were within the statute because they had filed a “claim.” This case includes extensive background on the origin of the “file a claim” requirement of Sec. 165(h). In Letter Ruling 201240007, (19) a taxpayer was charged with insurance fraud and settled a suit with the insurance company by making payments to the company. The taxpayer was also charged under state law and entered into a plea agreement that called for restitution payments. The IRS determined that both of the payments qualified as restitution, which is deductible under Sec. 165(c)(2), as long as the income had been included in the taxpayer’s gross income in prior years and he received no contribution from any other party. In Bentley, (20) a lawyer tried to deduct his charitable contributions on Schedule C rather than Schedule A, Itemized Deductions. 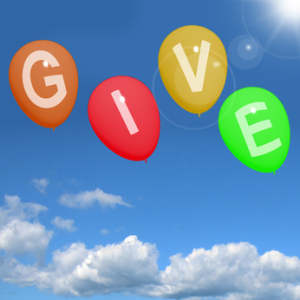 At trial, he refused to testify regarding the claimed donations, instead choosing to “rest on the administrative file.” Not surprisingly, the court concluded that the deductions were not an ordinary and necessary business expense. Since his itemized deductions, even with the additional charitable contributions allowed on Schedule A, were below the standard deduction, the assessed deficiency was upheld. Somewhat surprisingly, though, the court used its discretion to refuse to impose a sanction under Sec. 6673 (penalty imposed on a taxpayer who instituted a proceeding primarily for delay or whose position is frivolous or groundless), requested by the IRS. An IRS tax compliance officer was found to have claimed dependency exemptions, medical expenses, and charitable contributions to which she was not entitled (21). The court also imposed a civil fraud penalty against her. Among those whose testimony contradicted the taxpayer’s claim to be unaware of the documentation and other requirements were her husband, her supervisor, and representatives of seven charities to which she had claimed she made contributions. Receipts were found to be “doctored” and her testimony to be inconsistent and implausible. We recognize that this result is harsh—a complete denial of charitable deductions to a couple that did not overvalue, and may well have undervalued, their contributions—all reported on forms that even to the Court’s eyes seemed likely to mislead someone who didn’t read the instructions. But the problems of misvalued property are so great that Congress was quite specific about what the charitably inclined have to do to defend their deductions, and we cannot in a single sympathetic case undermine those rules. The Tenth Circuit upheld the Tax Court’s ruling in Trout Ranch LLC, (24) saying that the court had used proper discretion in incorporating post-valuation data into its analysis. The appeals panel noted that the Tax Court had been mindful of the risks involved and had given the greatest weight to sales that occurred within a year of granting the conservation easement. In CCA 201234024, (25) IRS Chief Counsel determined that costs associated with placing a vineyard in service, including prior-year capital expenditures, could be expensed under Sec. 179. In doing so, the IRS declared that Rev. Rul. 67-51 (26) no longer applied to Sec. 179. The ruling hinged on the fact that “the definition of §179 property has significantly changed” under the 1986 version of the Code. In a Tax Court case, the taxpayer invested cash equal to 25% of the total capital of the joint venture he had entered into with a Chinese food production plant (28). After the plant had serious financial difficulties, the plant recapitalized under Chinese law, requiring additional payments of 200,000 yuan from the taxpayer, which the taxpayer’s sister in China paid. On his jointly filed 2007 and 2008 federal income tax returns, the taxpayer attached Schedule C, Profit or Loss From Business, for the proprietorship and deducted a debt expense of $27,070.30 and $29,099.80 for 2007 and 2008, respectively. The IRS issued a notice of deficiency and disallowed the claimed debt expenses. The Tax Court upheld the deficiency, finding that the taxpayer did not make any of the debt repayments, but instead claimed that payments his sister made on his behalf should be attributed to him, despite the lack of evidence of an agreement to repay his sister. In Doolittle, alimony deductions were disallowed for a husband for amounts that were paid to the wife by a qualified trust under a qualified domestic relations order (29). In 2008, the petitioner, who had been paying monthly alimony for a number of years after his divorce, entered into a new agreement to pay his former wife $52,000 from a securities account within 30 days. Under the agreement, the qualified trust was obligated to make the payments, not the petitioner himself. On his 2008 Form 1040, U.S. Individual Income Tax Return, the petitioner claimed a deduction for alimony of $10,800, which was $900 of monthly payments that were required to be paid to his former wife in 2008. Under Sec. 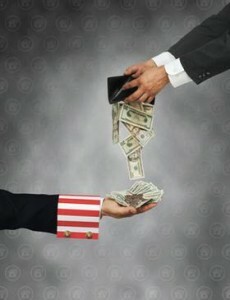 215, the alimony deduction is allowed only to individuals, and “not allowed to an estate, trust, corporation, or any other person who may pay the alimony obligation of such obligor spouse.” Because the petitioner’s obligation was paid by a trust, the petitioner was not entitled to claim the alimony deduction. Alimony deductions were disallowed for a husband even though there was an oral understanding between the husband and his former wife about the alimony payments (30). The petitioner and his wife had informally separated in 2004 and filed for divorce in 2008. During this time, the petitioner had paid $2,605 per month to his former spouse and their child, which was not separated into spousal or child support payments. 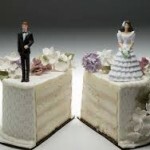 On December 1, 2008, a judgment for the dissolution of the marriage provided that $1,400 per month would be paid for alimony to the former spouse, until either party died. Before that time, the parties had a mutual understanding, but because it was not in writing until Dec. 1, 2008, the earlier payments could not be deducted. The court stated that this seemed unjust because the parties had already reached an understanding of the amounts, and that the agreement had already been approved by a court, but Congress had always required a written document. A Tax Court case provides a great example of the methods the IRS uses to audit tax returns with a Schedule C (31). The IRS used a combination of methods, including bank account analysis, to reconstruct income and examine the taxpayer’s substantiation in the case of expenses. Tax Court Rule 142(a) states that deductions are a matter of legislative grace, and the taxpayer bears the burden of proving that he or she is entitled to any deduction or credit claimed. Additionally, the taxpayer must substantiate all expenses for which a deduction is claimed under Sec. 274(d) (travel expenses for meals and lodging while away from home). 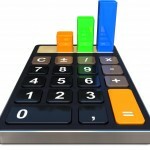 Under the Cohan (32) rule, estimates can be used for some expenses (although not for Sec. 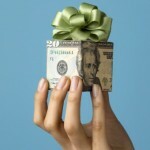 274 expenses) if there is a basis for the estimation. In this case, however, several checks written to the owner of the company with notations in the memo section, such as “A/C Repair,” were not otherwise substantiated and were therefore disallowed as personal expenses under Sec. 262. With reports of increased Schedule C audits, this case provides a great example for explaining the audit process to a client. In Nolder, (33) the taxpayer was an over-the-road truck driver who completed Form 2106, Employee Business Expenses, to deduct expenses he incurred while traveling. Several expenses were disallowed as personal under Sec. 262, including uniforms that were suitable for personal wear, ATM withdrawal fees, and identity theft insurance purchased due to concerns of identity theft while traveling to a town near Mexico (the driver frequently had to show identification). This case is also a good reminder to ask clients if a reimbursement plan for employee expenses is available to them. If a plan is available, employees cannot deduct the expenses even though they do not participate. The husband-and-wife owners of a group of McDonald’s restaurants in Utah established two companies, an operating company and a management company, which they both owned equally (34). The petitioners established a profit sharing plan for the benefit of the management company employees, which performed poorly. It was terminated by establishing an employee stock ownership plan (ESOP) in its place, which in turn owned 100% of the stock of the new management company, which elected to be an S corporation. In 2002, the management company also created a nonqualified deferred compensation plan (NQDCP) for the benefit of senior officers and employees. The petitioners elected to participate in the NQDCP and deferred $3.066 million over three years. Since a large portion of the management company’s profit consisted of the deferred compensation, the money was unavailable for distribution to the ESOP. Even though the management company was profitable, the ESOP, which was the sole shareholder, was not taxed on this income. Due to the large amount of money the management company committed to pay the NQDCP, the stock of the management company had little value. This negatively affected the value of the rank-and-file employees’ beneficial interest in the ESOP. In July 2004, the petitioners made the following decision because regulations under Sec. 409(p) would cause them to include all of the deferred compensation in their income: sell the management company stock to petitioners for FMV and have the management company pay to petitioners the $3.066 million deferred compensation and terminate the ESOP. By creating two short years for the management company, the management company generated a loss of $2.969 million, mostly for distribution of the NQDCP. The petitioners recognized $3.066 million in ordinary income from the NQDCP and offset the income with the loss. A taxpayer was not allowed a deduction for cost of goods sold in connection with his medical marijuana business (35). The taxpayer argued that he was not trafficking in an illegal substance and was operating a care giving business to indigent individuals in need of medical marijuana. The Tax Court held that the operation of his business still fell under Sec. 280E and, therefore, disallowed the deduction. In Veriha, (36) the petitioner owned three companies: a trucking company, a C corporation, and two equipment leasing companies, one operated as an S corporation and the other as a single-member limited liability company (LLC). The sole customer of the two leasing companies was the petitioner’s trucking company. The petitioner’s leasing companies had separate lease agreements with the trucking company for each piece of equipment leased from the respective company. For the year in question, one of the leasing companies realized overall net income, while the other company realized a net loss. The petitioner claimed that both the income and losses came from a passive activity and that all the tractors and trailers he owned as a whole should be considered a single “item of property.” The court disagreed and stated that each tractor and trailer was an “item of property” of its own under Regs. Sec. 1.469-2(f)(6), which requires income from an item of property rented for use in a nonpassive activity to be treated as not from a passive activity. Therefore, the net income the S corporation generated was recharacterized as nonpassive income, and the net loss from the LLC leasing company continued to be characterized as passive (under the self-rental rule). The IRS did not object to the petitioner’s netting the profitable leases with the unprofitable leases within the same company to determine the company’s overall net income or loss from leasing activities. In Chambers, (37) the Tax Court held that the petitioner was not a qualified real estate professional and therefore disallowed his losses from rental real estate. In addition, because his adjusted gross income for each year exceeded $150,000, the petitioner was not entitled to deduct $25,000 of losses from rental real estate activities under Sec. 469(i). The court did not uphold accuracy-related penalties because the petitioner had reasonable cause to believe he was a qualified real estate professional. The petitioner and spouse, who both worked full time in civilian positions for the U.S. Navy, owned one rental property directly. In addition, the petitioner owned 33% of an LLC that held four rental properties. Although the petitioner was unable to substantiate that he performed more than one-half of his personal services in real property trades or businesses in which he materially participated as required under Sec. 469(c)(7)(B)(i), his belief that he satisfied these requirements was reasonable. The Sixth Circuit affirmed the Tax Court’s decision that a shareholder’s transfer of floating rate notes to Optech Limited in exchange for a nonrecourse loan equal to 90% of the loan’s FMV was a sale and not a loan because the taxpayer transferred the burdens and benefits of owning the notes (38). The taxpayer sold over $1 million of low-basis stock in his company to an ESOP and then used the proceeds to purchase floating-rate notes in the face amount of $1 million. He then transferred the notes to Optech in exchange for a payment of 90% of the value of the notes. The loan agreement gave Optech the right to receive dividends and interest on the notes. The court held that the transaction was similar to an option in which the taxpayer retained the right to sell the notes, to transfer the registration in his own name, and to keep all interest. The court also found that the taxpayer was not personally liable on the note because the loan was nonrecourse. The IRS issued a letter ruling in which it concluded that a conveyance of a perpetual conservation easement in exchange for mitigation credits is a sale or exchange of property under Sec. 1001 (39). The IRS chief counsel concluded that federal income tax law, not state law, controls whether exchanged properties are of a like kind for Sec. 1031 purposes (40). The Tax Court found that a taxpayer failed to establish that he acquired like-kind property in exchange for three residential properties because the taxpayer’s evidence was incomplete (41). 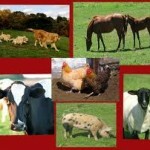 In Notice 2012-62, (42) the IRS provided a one-year extension of the four-year replacement period for certain livestock under Sec. 1033(e) to certain counties that experienced droughts. Letter Ruling 201240006 (43) involved the involuntary conversion of a taxpayer’s principal residence in a presidentially declared disaster area. The taxpayer did not report the gain on his return. The IRS noted that under Regs. Sec. 1.1033(a)-2(c)(2), the taxpayer is treated as having elected to defer gain from the conversion because he did not report the gain on the return for the year in which the insurance proceeds were received. The IRS ruled that the taxpayer can file original and amended returns during the replacement period to notify the IRS of the acquisition of replacement property. 17 CCA 201213022 (3/30/12). 30 Larievy, T.C. Memo. 2012-247. 18 Ambrose, No. 11-64T (Fed Cl. 8/3/12). 31 Onyekwena, T.C. Summ. 2012-37. 19 IRS Letter Ruling 201240007 (10/5/12). 32 Cohan, 39 F.2d 540 (2d Cir. 1930). 20 Bentley, T.C. Memo. 2012-294. 33 Nolder, T.C. Summ. 2012-50. 21 Quinn, T.C. Memo. 2012-178. 34 Love, T.C. Memo. 2012-166. 22 Mohamed, T.C. Memo. 2012-152. 35 Olive, 139 T.C. No. 2. 23 Scheidelman, 682 F.3d 189 (2d Cir. 2012). 36 Veriha, T.C. Memo. 2012-139. 24 Trout Ranch LLC, No. 11-9006 (10th Cir. 8/16/12). 37 Chambers, T.C. Summ. 2012-91. 25 CCA 201234024 (8/24/12). 38 Sollberger, No. 11-71883 (9th Cir. 8/16/12). 26 Rev. Rul. 67-51, 1967-1 C.B. 68. 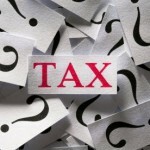 39 IRS Letter Ruling 201222004 (6/1/12). 27 Parks, T.C. Summ. 2012-105. 40 CCA 201238027 (9/21/12). 28 Cheng, T.C. Summ. 2012-102. 41 Zurn, T.C. Memo. 2012-132. 29 Doolittle, T.C. Summ. 2012-103. 42 Notice 2012-62, 2012-42 I.R.B. 489. 43 IRS Letter Ruling 201240006 (10/5/12).